In World War II, code-making and code-breaking reached a feverish peak. The fabled Enigma Cipher had been broken, and all sides were looking for a secure, reliable means of communication. Many have heard of the role of the Navajo Code Talkers, but less well-known are the Sioux Code Talkers using the Lakota, Dakota, and Nakota dialects. Told by the great-niece of John Bear King, who served in the First Cavalry in the Pacific Theatre as a Sioux Code Talker, this comprehensively informative title explores not only the importance of the indigenous peoples to the war, but also their culture and values. 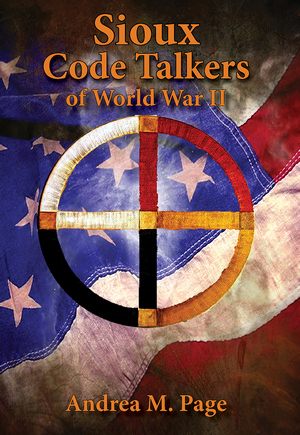 The Sioux Code Talkers of World War II follows seven Sioux who put aside a long history of prejudice against their people and joined the fight against Japan. With a personal touch and a deft eye for engaging detail, author Andrea M. Page brings the Lakota story to life. Andrea M. Page is a 6th grade ELA teacher and member of the Standing Rock Sioux Tribe. Her interest in her great-uncle’s story began in 1994 when a family member found a newspaper article about John Bear King, revealing his previously unknown World War II service. For twenty years, Page has gathered information on his story through interviews and research. 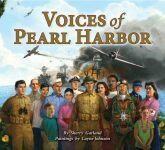 Page is a member of the Society of Children’s Book Writers and Illustrators.